This is a really pretty salt. 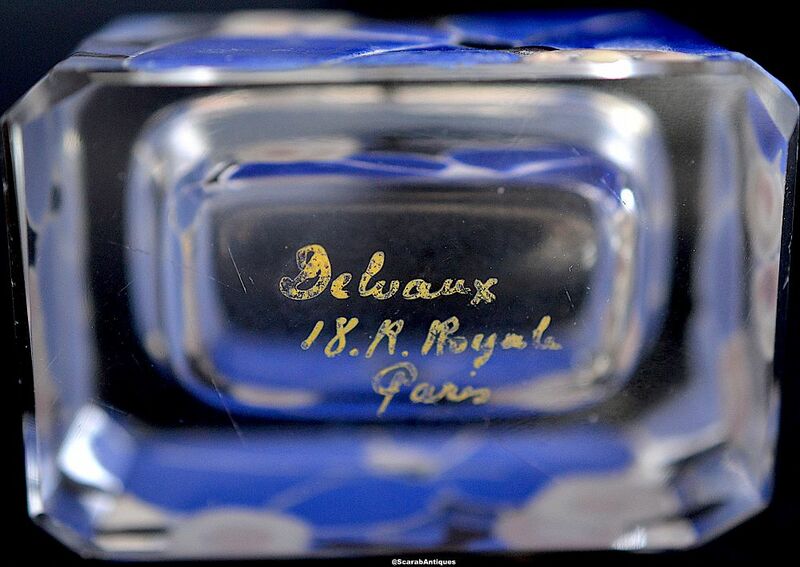 Made of glass with a heavily enamelled floral design in blues pinks & white, it is rectangular shaped and signed on the base "Delvaux 18 R. Royal Paris". 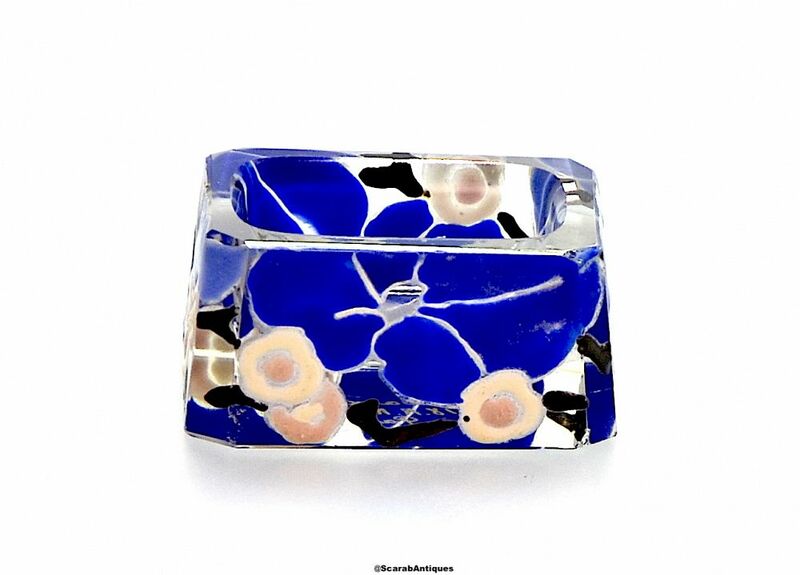 Whilst the original use was as a salt you could use it to hold earrings or cufflinks or just as a decorative item.